SHOULD THE CBC COME CLEAN? The Harper government is after the public broadcaster. A Harper MP from Manitoba wants to know how much money is earned by Peter “Pastor” Mansbridge, Rick Mercer and George Stroumboulopoulos. Also such things as how much the CBC spends on liquor and hotels. The CBC is strenuously trying to block this kind of information. But it has a problem. The CBC is subsidized by the taxpayers to the tune of more than a billion dollars a year. Does not the taxpayer have a right to know the remuneration of its employees, including Mansbridge. On the ot her hand, where do we draw the line? If the CBC is forced to release its salary structure who is next? Publishers who accept federal grants, theatre companies, museums. 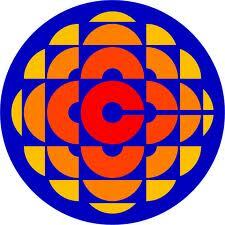 Is the Harper government after the CBC because they think the corporation is too liberal in its views? Would revealing the CBC salary salary structure set a dangerous precedent for other witch hunts by Harper? Are you a fan of the CBC? SHOULD THE CBC USE OUR MONEY TO GUARD ITS SECRETS? Canadians subsidize the CBC to the tune of a billion dollars a year. Now the Mother Corp is using some of that tax money to protect its secrets. Canadian taxpayers are rightly upset that the CBC is going to court to challenge a ruling that says the CBC must be more accountable with tapayer money. A new survey shows that 64 per cent of Canadians object to tax money being used to keep the CBC secrets. The CBC has received an F rating for refusing to respond to access-to-information requests. CBC brass say they will fight the case all the way to the Surpreme Court. How much money does the CBC pay for its own access-to-information requests? What does the CBC spend on restaurants and hospitality? What does the CBC pay to send an executive to Harvard? What does the CBC pay Peter Mansbridge? Does anybody know? Should we know? The CBC’s taxpayer funding often comes under fire from critics. 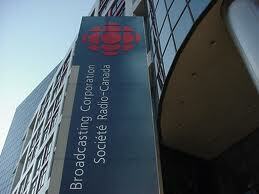 Should the CBC be using tax money denying taxpayers’ information that is rightfully theirs? SHOULD THE CBC GET MORE TAXPAYER MONEY? 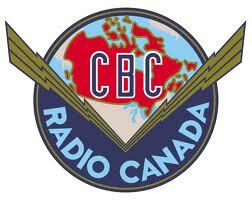 Later in the fall the CBC will celebrate its 75th birthday. The Mother Corporation is in a bind. It has a mandate to provide Canadians with first-rate Canadian content. The problem is that producing Canadian content is a very expensive proposition. It is much easier and more economical to purchase cheap American shows. Which begs the question. Should the CBC get more funding from the public purse? As it stands now, the Mother Corp receives $1.2 billion in an operating grant from the feds plus another $125 million from Ottawa. The CBC generates $567 million from advertising as well as commercial enterprises. So what does it cost the Canadian citizen to fund the CBC? It costs $34. This compares to $91 for the BBC in Britain. To $42 for the Australian Broadcasting system. Should the CBC do more Canadian programming? What are your favourite CBC shows? Do you watch Peter Mansbridge on the National? SHOULD HARPER CUT FUNDS TO THE CBC? Canadian taxpayers cough up a $billion in subsidies for the CBC. Heritage Minister James Moore now says the Corporation could now face a cut of five per cent across the board to help Ottawa slay the deficit. Five per cent across the board would be a huge cut. Moore added that “The idea that the CBC can’t find five per cent of efficiencies within the CBC to give back to the broader economic framework, I think is silly.”This projected cut to the CBC begs the question whether Canadian taxpayers would be better off if the CBC were privatized and forced on its own two financial feet. The fact is many of the CBC’s most popular shows are American. The fact is that in the primary news programs, the CTV with Lloyd Robertson beat CBC with Pastor Mainsbridge by a country mile night after night. Should the CBC be privatized?